We’re real church for real people — which means we want you to come as you are and be who you are…really. You’re welcome here. Our mission is simple: we help people find Jesus and follow him fully. Everything we do flows out of our passion to see people give their lives to Jesus and then point their lives in his direction. We believe this happens in three key environments: Gather, Connect, and Serve. 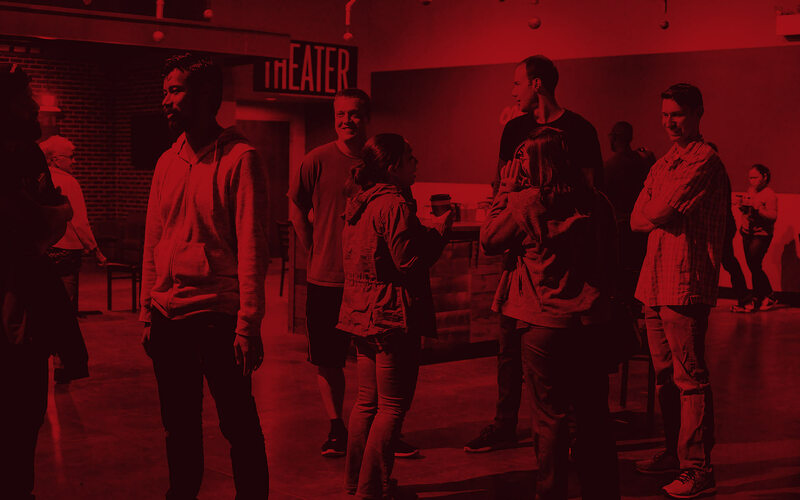 Our weekend gatherings are designed to help people experience God and become followers of Jesus. We believe that they’re the catalyst that lead to spiritual growth, regardless of where we’re at on our journey. If you’re new to the whole church thing, you can join us on any weekend throughout the year and hear the life-giving message of Jesus in terms you can understand and relate to. If you’re a believer, you’ll grow spiritually. We believe life is better together. Throughout the week, we encourage you to connect in a Journey Group, a small group of people who get together to do something they enjoy together. Whether you’re taking your first steps toward faith or moving to another level, connect is the relational link that fosters spiritual growth. God gave you a purpose — and we’re committed to helping you discover it and live it out by making a difference. When you know why you’re here and what you’re meant to do, your life will never be the same. Our J-Team is filled with hundreds of people just like you who are using their gifts to serve others. Want to learn more about who we are and how you can live out your purpose here?